When it comes to casinos which offer great welcome bonuses, Mummys Gold Casino is near the top of the list. They are providing a 100% first deposit match up to $500, which means that first-time depositors will have lots of extra free money to play games. The casino also offers a loyalty program. There are tons of casino games to enjoy at Mummys Gold Casino. In fact, there are over 600 of them. These are comprised of a variety of slots, including some great progressives. There is an excellent selection of table games which include roulette, blackjack, and poker. The live casino and mobile version offer plenty of action. Although Mummys Gold Casino had many choices of software providers to choose from, they opted to go with Microgaming. No doubt this was a good choice, as Microgaming is an award-winning online casino software provider, which is well known and respected. Many players enjoy and appreciate the large game selection this software provider creates. One of the many things that players like about Mummys Gold is the numerous choices they offer for members to be able to deposit. Options include Visa, Mastercard, Visa Electron, Maestro, iDebit, Trustly, Skrill, and Neteller. These are popular choices when it comes to credit cards and e-Wallets, which means players should have no difficulties in depositing. Players at Mummys Gold Casino can equally enjoy some good options for withdrawing their money. The casino offers choices from Neteller, Skrill, iDebit, Mastercard, Visa and Visa Electron. In most cases, the method used for deposit is the one used for withdrawals, if they support this. If not, then an alternative has to be chosen. Mummys Gold Casino is most pleased to be able to offer their services in many countries. To support this, they provide their casino platforms in a variety of languages. These include English, Greek, Italian, French, Dutch, Spanish, Japanese, Norwegian, Polish, Swedish, Finnish, Hrvatski, and Portuguese. Players can choose their language of preference from the site's menu. There is also the convenience of using different types of currency at Mummys Gold Casino. Players can choose to fund with Argentine or Mexican pesos, Australian, Canadian, New Zealand, or US dollars, Swiss francs, British pounds sterling, euros, Norwegian kroner, Polish zlotys or Russian rubles. Multiple choices like this make it easy for players. Mummys Gold Casino makes playing at their casino an easy process by offering some great choices. Instant play can be accessed through a players browser. 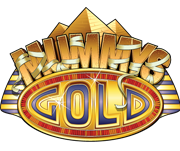 Or, for those who prefer to use their mobile devices, they can take advantage of the Mummys Gold Mobile Casino. Players can log onto the live casino platform for more fun. There are different types of support offered by the representatives at Mummys Gold Casino. Players may find the answers to common questions in the casino's FAQ section. If they want to contact the casino, they can do so through email, or make use of the chat option. Mummys Gold Casino focuses on excellent customer service.